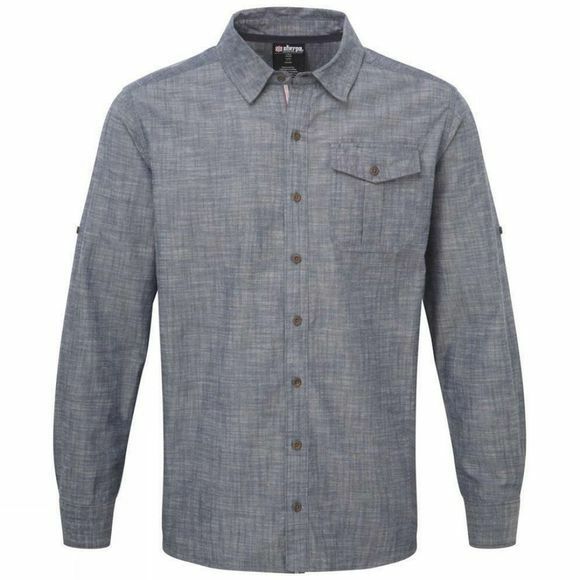 Subtly stylish, the Mens Lokta Long Sleeve Shirt from Sherpa has small and subtle flecks of prayer flag inspired colors woven in the otherwise natural, linen-like fabric. 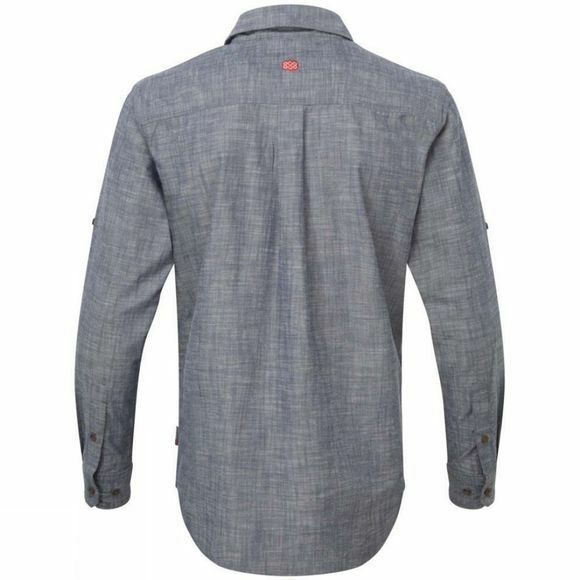 It’s not just good looking, it’s also UPF rated to 40, deceptively wicking and designed to fit comfortably under a pack. The sleeves can be rolled up and secured with button tabs and the chest pocket stows essentials.